in the minimalist techno world of black and white, shaded brings his own splash of color to the dark, intense scene not only visually with his bright hawaiian shirts, but auditory as well with his atypical, psychedelic sets. if there’s anything that the inventive dj and producer ventures to survive by, it’s that “today is the first day of the rest of your life.” with several near-death experiences and close calls along the way, the daredevil inhales adventures and thrills, managing to enjoy life with a full force and create music beyond any judgments, genres, or limits. breathing the ultimate cali way of life through surfing, skating, and joining rock ‘n’ roll bands, shaded gradually discovered electronica, chill house, and other ambient-related stuff in the scene by turning up at raves, and soon found his way into the mysterious realm of techno. after studying instructional engineering in college, he landed a new job but quit on the first day, admitting that he couldn’t handle sitting in an office all day crunching a bunch of numbers. by that point, he bounced around the country to places like nyc so he could pursue music and took the leap to move to europe a few years ago to further his flourishing career. without any clue of what he was doing, he found success amidst the craziness and chaos of a dj’s hectic lifestyle. “I never knew what electronic music was when I first started making it. I didn’t know any dj’s and had no preconceived notion of what I wanted to make, but all I had was a vision of what I wanted to do.” not having any source of influences or ideas in mind has allowed shaded to achieve his own funky style, since listening to an artist can subconsciously affect you to steal their sound when listening to them. through a bunch of trial and error, shaded admits that this helped him create his own brand. there aren’t many people who’ve had the same upbringing in the scene like he did, for he was fortunate to live through the real definition of “chilling” before subgenres like tropical house became popular and cool. 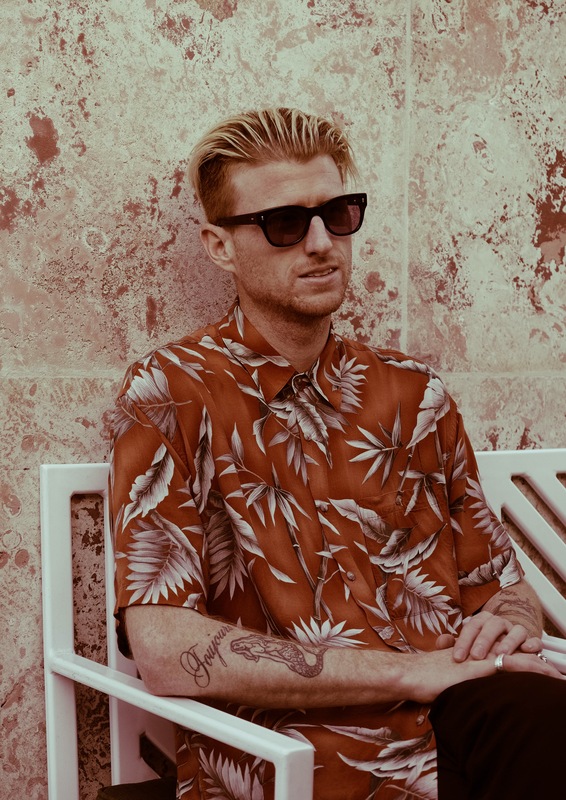 the breezy redhead splits half of the year in his hometown of newport beach and the other half in barcelona, where the phenomenal music scene thrives similarly to that of los angeles. with hopes and bigger aspirations, shaded hopes to push the envelope by making his live production shows bigger, wilder, and crazier, and perhaps even score a movie in the next 10 years. although dance music is his baby, it’d be his dream to produce a hip-hop album and get into that side of production. be on the lookout for many of his ep’s due to come out later this year, and support the rad artist on facebook and soundcloud.